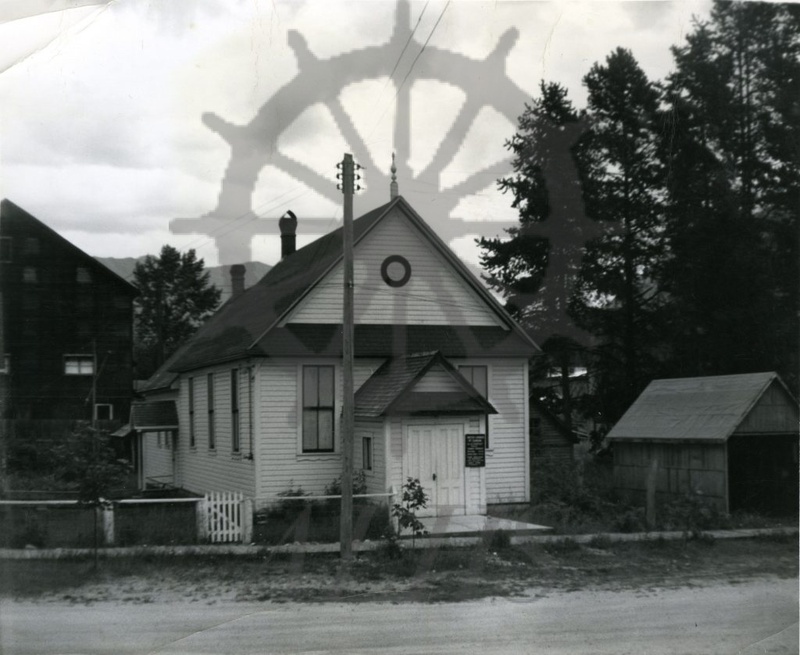 993.011.2 Nakusp United Church – Legion Hall in Background. Robertson Memorial United Church, 93 Pine Avenue North, Nakusp, mid-20th century. Rear of Royal Canadian Legion Hall seen in background.